We have more than 24,000 qualified professionals in over 170 offices who are dedicated to improving quality of living. With advanced technologies, proprietary programs and extensive training, our caring team members uphold our mission for over 122,000 patients and clients each year. All members of our executive leadership team are steeped in healthcare experience across a variety of functions including operations, consulting, medical practice, insurance, finance, legal and organizational development. Stephan Rodgers is the Chief Executive Officer of AccentCare®, Inc. He has over 25 years of healthcare experience including home care, insurance, consulting and employee benefits. 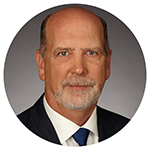 Prior to joining AccentCare, Mr. Rodgers was CEO of OptumHealth Collaborative Care, a division of UnitedHealth Group, which owns, manages and provides administrative and technology services to healthcare delivery systems. Earlier in his career he was a healthcare executive at General Electric Company, responsible for purchasing healthcare benefits. Mr. Rodgers holds a B.A. in Biochemistry from the University of California. Dr. Gregory Sheff is the Chief Medical Officer of AccentCare®, Inc. His background includes over 13 years in healthcare both as a practicing physician and healthcare executive. Prior to joining AccentCare, Dr. Sheff served as Executive Vice President, Clinical Systems for Seton Healthcare Family and was Chief Executive Officer of Seton Health Alliance ACO. Previously he held senior leadership positions at Austin Regional Clinic. Dr. Sheff hold degrees from Stanford University and the University of New Mexico School of Medicine. 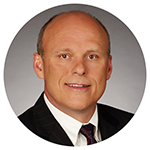 Jeff Reynolds is the Chief Financial Officer of AccentCare®, Inc. 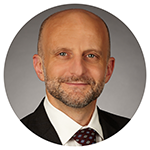 He has over 20 years of finance and operations experience in the healthcare industry. Prior to joining AccentCare, Mr. Reynolds was Chief Financial Officer and Board Secretary for Preferred Homecare, Inc. Previously, he held several senior finance and operations positions at Cardinal Health, Inc. Mr. Reynolds holds a B.S. in Finance from the University of Tennessee. 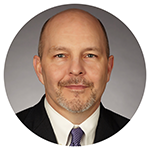 Timothy Ryan is General Counsel for AccentCare®, Inc. He has over 30 years of legal experience, the majority of which have been in the healthcare industry. Prior to joining AccentCare, Mr. Ryan held a variety of leadership roles at UnitedHealth Group, last serving as General Counsel for one of their divisions, OptumHealth. Previously, he was an attorney at law firms in Chicago and Detroit. Mr. Ryan earned his J.D. from Boston University School of Law and received his B.B.A. from the University of Michigan. 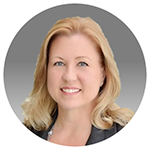 Tammy Steele is the Chief People Officer of AccentCare®, Inc. She has over 25 years of human resources and executive management experience. Prior to joining AccentCare, Ms. Steele worked for DentalOne as Senior Vice President, Human Resources and Chief People Officer, and for Concentra as Senior Vice President, Human Resources. Previously, she held positions at AMFM and Hogan Systems. Ms. Steele studied Business/Personnel Management and Organizational Behavior at the University of North Texas. Daniel Buning is the Chief Operating Officer for AccentCare®, Inc. 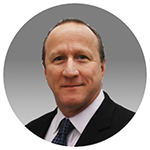 He has over 30 years of operational experience in the healthcare industry. Prior to joining AccentCare, Mr. Buning was Chief Operating Officer of OptumRx’s home infusion business. Previously, he held executive positions at Conifer Health Solutions, Accretive Health, Citigroup and GE Capital. A 20-year officer of the U.S. Army, Mr. Buning holds operations engineering degrees from West Point, the Naval Postgraduate School and the University of Central Florida. To learn more about how AccentCare can help, talk to one of our care professionals today at 1-800-834-3059. See AccentCare in the news to learn how we’re working to improve quality of living with innovative healthcare solutions. Our location finder makes it quick and easy to find us.